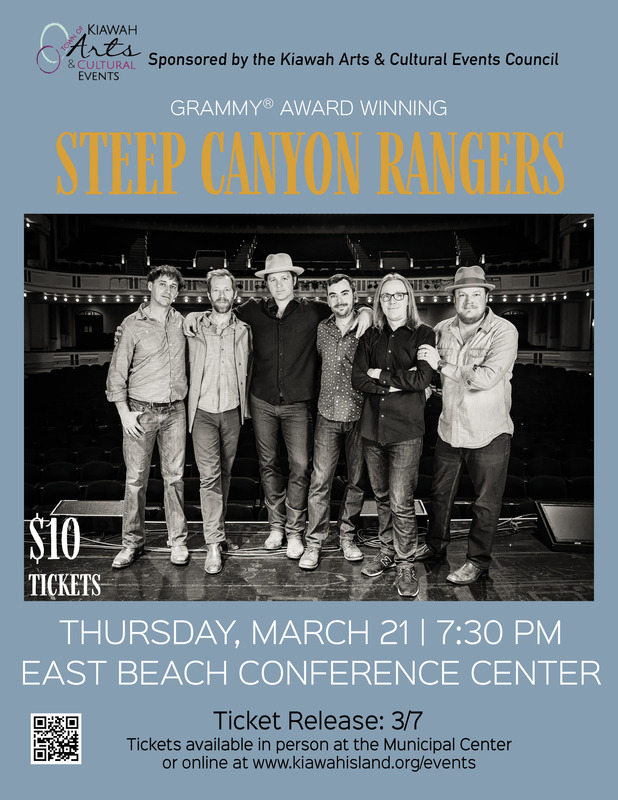 Tickets available here beginning 3/7 at 9 a.m.
On the heels of the release of their live-recorded album, OUT IN THE OPEN, the Steep Canyon Rangers bring their progressive bluegrass sound to Kiawah. The GRAMMY® Award-winning, North Carolina-based sextet has spent nearly two decades bending and shaping the bluegrass aesthetic, wedding it to elements of pop, country, folk rock, and more to create something original and all their own. Along the way, they’ve teamed up with legendary actor-comedian-writer-banjo player Steve Martin. SCR has collaborated on multiple albums with Martin, including 2011’s GRAMMY® Award-nominated RARE BIRD ALERT. Logging nearly 150 nights on the road throughout the year, SCR’s live performance is not to be missed. They will be heading to the renowned Savannah Musical Festival following their Kiawah show.